Every so often, I mock the New York Times for biased or sloppy analysis. Now there’s a new column by David Leonhardt that cries out for correction. He’s very upset that upper-income people are enjoying higher incomes over time. A…team of inequality researchers…has been getting some attention recently for a chart… It shows the change in income between 1980 and 2014 for every point on the distribution, and it neatly summarizes the recent soaring of inequality. …the very affluent, and only the very affluent, have received significant raises in recent decades. 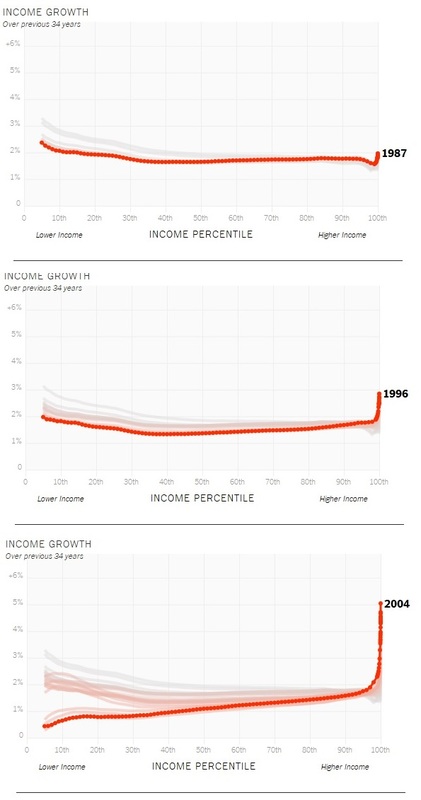 This line captures the rise in inequality better than any other chart or simple summary that I’ve seen. …only very affluent families — those in roughly the top 1/40th of the income distribution — have received…large raises. …The basic problem is that most families used to receive something approaching their fair share of economic growth, and they don’t anymore. And here’s the chart that ostensibly shows that the economy is broken. And what is the solution for this alleged problem? Class-warfare taxation and bigger government, of course. …there is nothing natural about the distribution of today’s growth — the fact that our economic bounty flows overwhelmingly to a small share of the population. Different policies could produce a different outcome. My list would start with a tax code that does less to favor the affluent, a better-functioning education system, more bargaining power for workers and less tolerance for corporate consolidation. Whenever I see this type of data, I’m automatically suspicious for two reasons. Moreover, rich people getting rich doesn’t imply that poor people are losing income. This chart shows that all income percentiles generally enjoy more income with each passing year, so it isn’t grossly misleading like the charts that incorrectly imply income gains for the rich are at the expense of the poor. Nonetheless, a reader won’t have any way of knowing that more inequality and poverty reduction can go hand in hand. But I think this chart from the New York Times inadvertently shows something very interesting. 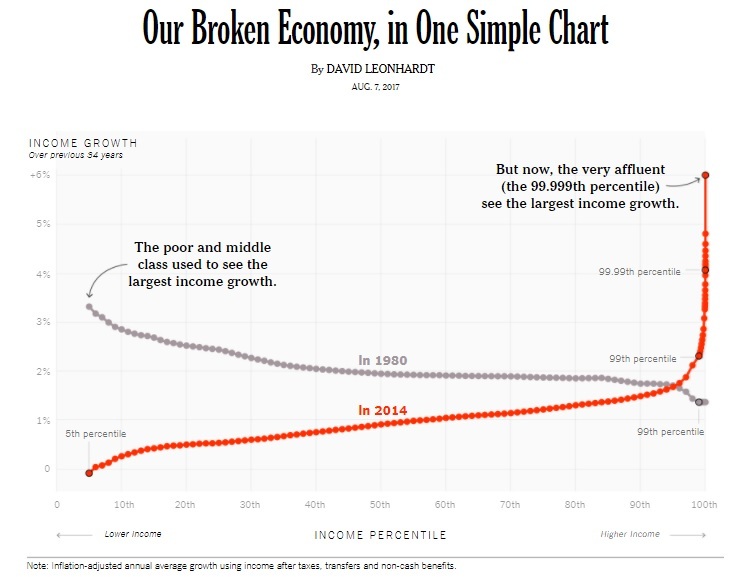 As shown in the excerpt above, Mr. Leonhardt wants us to look at this data and support bigger government and class warfare. Yet look at the annual data. The chart above has the numbers for 1980 and 2014. To the right, I’ve put together the numbers for 1987, 1996, and 2004. One obvious conclusion is that prosperity (as shown by rising income levels) was much more broadly and equally shared in the 1980s and 1990s, back when the economy was moving in the direction of free markets and smaller government under both Reagan and Clinton. But look at what happened last decade, and what’s been happening this decade. Government has been expanding (as measured by falling scores from Economic Freedom of the World). And that’s the period, thanks to Bush-Obama statism, when lower-income people began to lag and income gains were mostly concentrated at the top of the income redistribution. As the very least, this certainly suggests that Leonhardt’s policy agenda is misguided. Assuming, of course, the goal is to enable more prosperity for the less fortunate. I’ll add another point. I suspect that big income gains for the rich in recent years are the result of easy-money policies from the Federal Reserve, which have – at least in part – pushed up the value of financial assets. The bottom line is that Leonhardt seems motivated by ideology, so he bends the data in hopes of justifying his leftist agenda. What makes this sad is that the New York Times used to be far more sensible. Back in 1982, shortly after the Professors Hall and Rabushka unveiled their plan for a flat tax, here’s what the New York Times opined. Who can defend a tax code so complicated that even the most educated family needs a professional to decide how much it owes? …President Reagan’s tax package will eventually roll back rates to the level of the late 1970’s, but it will not simplify the code or rid it of provisions that penalize hard work and reward unproductive investment. …the income base that is taxed has been so eroded by exceptions and preferences that the rates on what is left to tax must be kept high. Thus, the tax on an extra dollar of income for a typical family earning $20,000 is 28 percent and progressively higher for the more affluent. 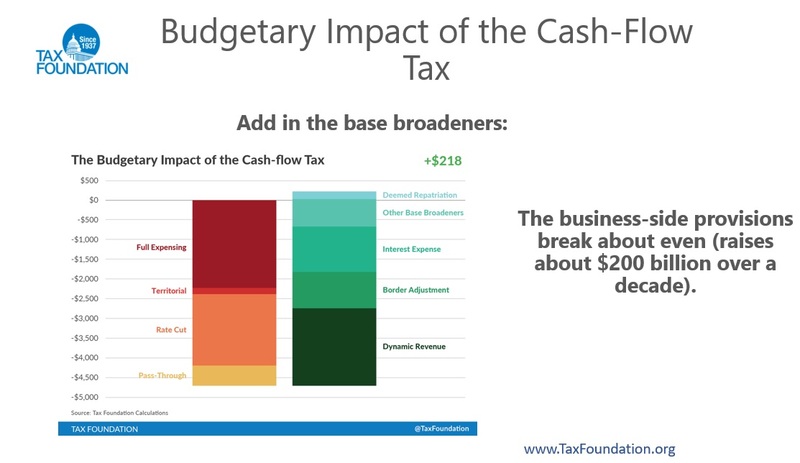 …The most dramatic fresh start, without changing the total amount collected, would be a flat-rate tax levied on a greatly broadened income base. Senator Helms of North Carolina would rid the law of virtually every tax preference and tax all income at about 12 percent. Representative Panetta of Cali-fornia would retain a few preferences and tax at a flat 19 percent. Either approach would greatly improve the efficiency of the system, simplifying calculations and increasing the incentive to earn. And here’s what the editors wrote about Governor Jerry Brown’s modified flat tax in 199s. They started by praising the core principles of the flat tax. Taking Jerry Brown seriously means taking his flat tax proposal seriously. Needlessly, he’s made that hard to do. By being careless, the former California Governor has bent a good idea out of shape. …Mr. Brown’s basic idea — creating a simplified code that encourages saving — is exactly right. …The present tax code is riddled with wasteful contradictions and complexity. For example, profit from corporate investment is taxed twice — when earned by the corporation and again when distributed to shareholders. That powerfully discourages savings and investment — the exact opposite of what the economy needs to grow. The remedy is, in a word, integration, meshing personal and corporate codes so that the brunt of taxes falls on consumption, not saving. …there is a reform that achieves all these objectives. Robert Hall and Alvin Rabushka, economists at the Hoover Institution, have proposed an integrated code that applies a single rate to both personal and corporate income. Their plan wipes away most deductions and exemptions, permitting a low tax rate of 19 percent. 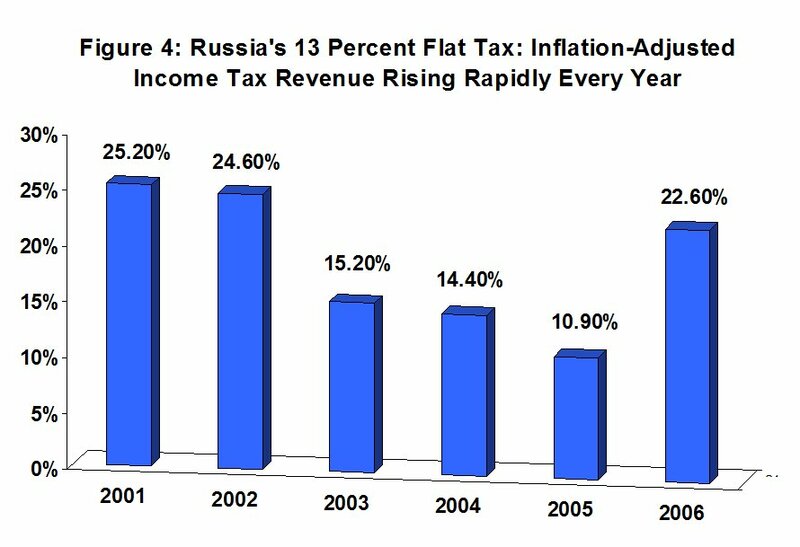 …Under the Hall-Rabushka plan, individuals would pay taxes on earnings and corporations would pay tax on interest, dividends and profits. That way, every dollar of income would be taxed once and only once. And they rightly criticized Governor Brown for violating those principles. Jerry Brown borrowed some of the elements of Hall-Rabushka. He too would eliminate wasteful exemptions, adopt a single rate and favor saving by exempting corporate investment. But at that point, he turns glib. He would impose on corporations a value-added tax, similar to a national sales tax. That eliminates the elegant symmetry of Hall-Rabushka. Indirectly, Mr. Brown’s variation would tax some income twice — which is why his supposed 13 percent rate would collect revenue equal to about 20 percent of total income. Wow, this isn’t what I would write, but it’s within shouting distance. The editors back then understood the importance of low marginal tax rates and they recognized that double taxation is a bad thing. Now check out what the New York Times believes today about tax reform. First and foremost, the editors want more money taken from the productive economy to expand the D.C. swamp. Real reform would honestly confront the fact that in the next decade we will need roughly $4.5 trillion more revenue than currently projected to meet our existing commitment…. Even more would be needed if the government were to make greater investments. And even though class-warfare taxation is unlikely to generate much revenue, the editors want both higher tax rates and more double taxation. …it would make sense to increase the top rates on them and eliminate a break on income from investments. …the richest 1 percent pay 33 percent of their total income in taxes; if rates were changed so they paid 40 percent, it would generate $170 billion of revenue in the first year. The editors want to take one of the most anti-competitive features of the current system and make it even worse. It would also be a good idea to scale back accelerated depreciation allowances that let businesses write off investments faster than assets actually wear out. Speedy write-offs for luxuries like corporate jets could be eliminated altogether. They also want to further undermine the ability of U.S. companies to compete on a level playing field in foreign markets. …they should agree to close…the ability of corporations to defer tax on profits earned abroad. In a display of knee-jerk statism, the editors also want new tax burdens to finance an ever-larger burden of government. Such as an energy tax. New forms of taxation are also needed. Even prominent Republicans like James Baker III, George Shultz and Henry Paulson Jr. support a carbon tax imposed on emissions to reduce greenhouse gases. …revenue generated by carbon taxes could be used for other purposes as well, including investments in renewable energy and public transportation. And a tax on financial transactions. Revenue can also be raised by imposing a tax on the trading of stocks, bonds and derivatives. …Estimates show that a financial transaction tax of even 0.01 percent per trade ($10 on a $100,000 trade) could raise $185 billion over 10 years, enough to finance prekindergarten for 3- and 4-year olds, with money left over. But the granddaddy of new taxes would be the value-added tax, a money machine for bigger government. A value-added tax would be akin to a national sales tax, but harder to evade than traditional sales taxes and thus an efficient revenue raiser. I’m genuinely curious whether there is any type of tax increase the NYT wouldn’t support. But that’s not really the point of this column. The real lesson is that it’s sad that the editors have gone from being rationally left to being ideologically left. P.S. I confess that I especially enjoy when the New York Times inadvertently publishes pieces that show the benefits of free markets and personal liberty. Accidentally showing the superiority of funded private retirement systems. Revealing how feminist policies backfire against women. Unintentionally showing the folly of gun control. Which is sort of what happened with Leonhardt’s data, which shows more broadly shared prosperity when economic liberty was increasing. 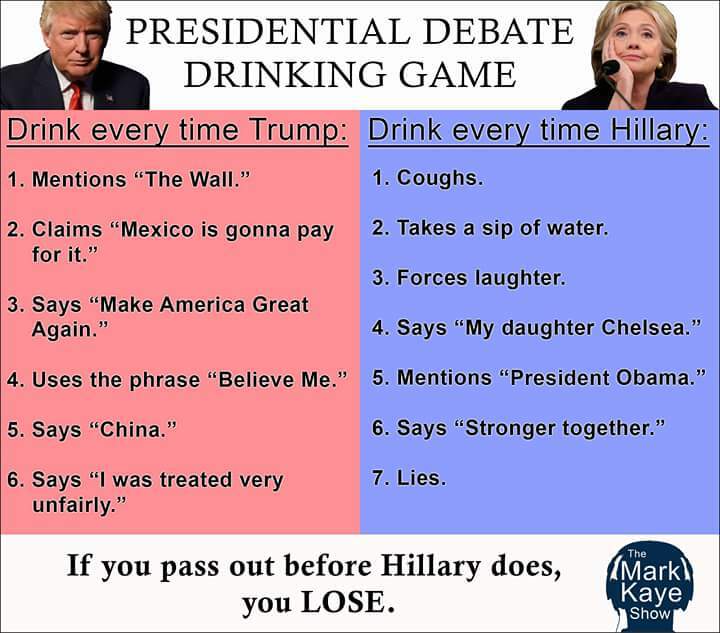 While the political world is consumed by the various scandals and baggage of the two main presidential candidates, let’s play a game of make-believe. Let’s pretend that politicians aren’t crooks and clowns and instead actually want to make America’s economy more vibrant and productive so the American people can enjoy higher living standards. What would they do? What should they do? Those are very big questions with lots of answers, so let’s focus just on the issue of tax policy. If the goal is more growth and prosperity, there are two obvious choices. To the maximum extent possible, reduce marginal tax rates on productive behavior. To the maximum extent possible, reduce the tax bias against saving and investment. And if these two policies are desirable, there are three ways to make them happen. Pass a stand-alone tax cut. Finance a tax cut with concomitant reductions in federal spending (i.e., a spending-reducing and deficit-neutral tax cut). Finance a tax cut by eliminating special tax preferences (i.e., a revenue-neutral, spending-neutral, and deficit-neutral tax reform). Needless to say, a combination of the three also is possible. In the current political environment, however, I suspect the final choice may be the most practical option. That’s because reasonable leftists may be willing to go along with better tax policy so long as they can be convinced that the burden of government spending won’t be reduced. And self-styled deficit hawks may be willing to go along with better tax policy so long as they can be convinced that red ink won’t increase. But this also can be a win-win situation since there are many distortionary preferences in the tax code that lure people into making economically inefficient decisions solely because of tax considerations. So if those provisions are repealed and all the money is used to finance lower tax rates and less double taxation, we’ll have a tax system that is much less punitive. Heck, this is the premise of the flat tax. Wipe out the 70,000-plus pages of the tax code and replace it with a simple and fair system that taxes income only one time at one low rate. This means getting rid of preferences such as the healthcare exclusion, the municipal bond exemption, the charitable contributions deduction, and the state and local tax deduction. And it’s certainly true that the interest groups benefiting from a tilted playing field will fight to preserve their special preferences. But I’m not sure they would be able to scare voters into supporting their position. The first thing to understand is that only 30.1 percent of taxpayers utilize itemized deductions. And those that do itemize on their tax returns tend to have higher-than-average incomes. And remember that these are the same people who will directly benefit from lower tax rates and less double taxation. Interestingly, the Open Source Policy Center has an interactive site where you can see what happens to people in various income classes if selected itemized deductions are repealed. Here are the results from repealing the state and local tax deduction. As you can see, rich people are the only ones who take a meaningful hit. Yet are these upper-income taxpayers going to fight to preserve that deduction if they are offered a trade for lower tax rates and less double taxation? I suppose it depends on the specific circumstances of each taxpayer, but I’m guessing a majority of them would prefer a friendlier and simpler tax code that didn’t punish wealth creation. Moreover, if you look at where these people live, you find that they are highly concentrated in just a handful of states along with a few urban areas elsewhere in the country. 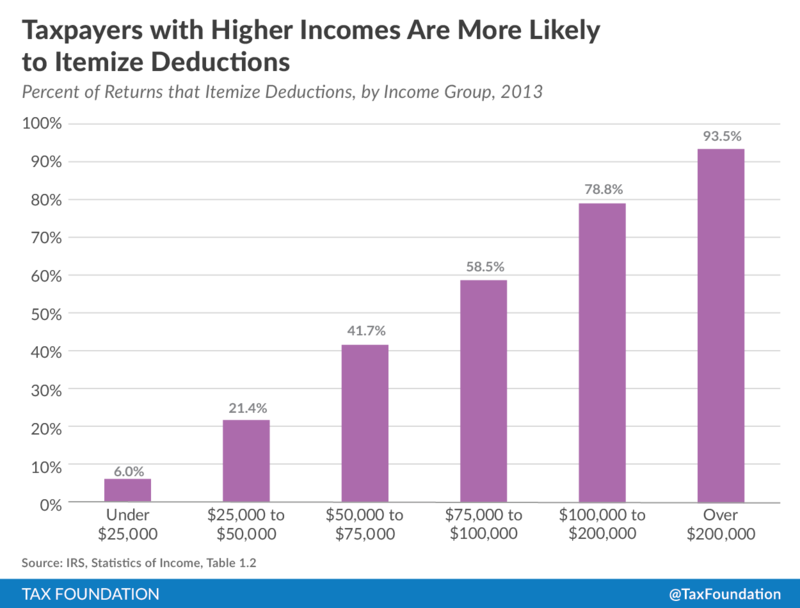 This suggests that policy makers from most states shouldn’t even care about itemized deductions. So there shouldn’t be any reason for them to oppose a tax reform plan that produces lower tax rates and less double taxation. P.S. The hard-core left will not go along with revenue-neutral tax reform. They have such antipathy to success that some of them openly urge punitive taxes even if the economic damage is so severe that the government doesn’t collect any revenue. P.P.S. With regards to the reasonable leftists and the deficit hawks, one can point out that good tax policy will generate better economic performance and therefore more taxable income (i.e., the Laffer Curve). 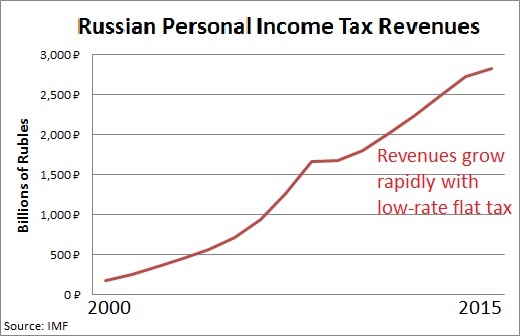 But it’s only in rare (albeit sometimes very noteworthy) cases that the increase in taxable income is sufficiently large to offset the impact of lower tax rates, so revenues will still fall. And since these people don’t like tax cuts, even smaller-than-expected ones, they will still be opposed to pro-growth tax policy unless it is revenue-neutral. P.P.P.S. The mortgage interest deduction is misguided, but isn’t technically a loophole since one of the goals of tax reform is to give business investment the same tax-income-only-one-time treatment now reserved for residential real estate. There’s no agreement on the most important variable for state tax competitiveness. You could make a strong case that it is the overall share of income taken by politicians in the state. Or you could argue that the tax system for employers is the key metric. And the top tax rate obviously is an important measure of a state’s economic attractiveness. I’m sympathetic to the final option, in part because of my disdain for the income tax. And if an income tax is imposed, I prefer a simple and fair flat tax. With that in mind, here’s a fascinating infographic I received via email. I don’t know if Reboot Illinois is left wing, right wing, or apolitical, but they did a very good job. 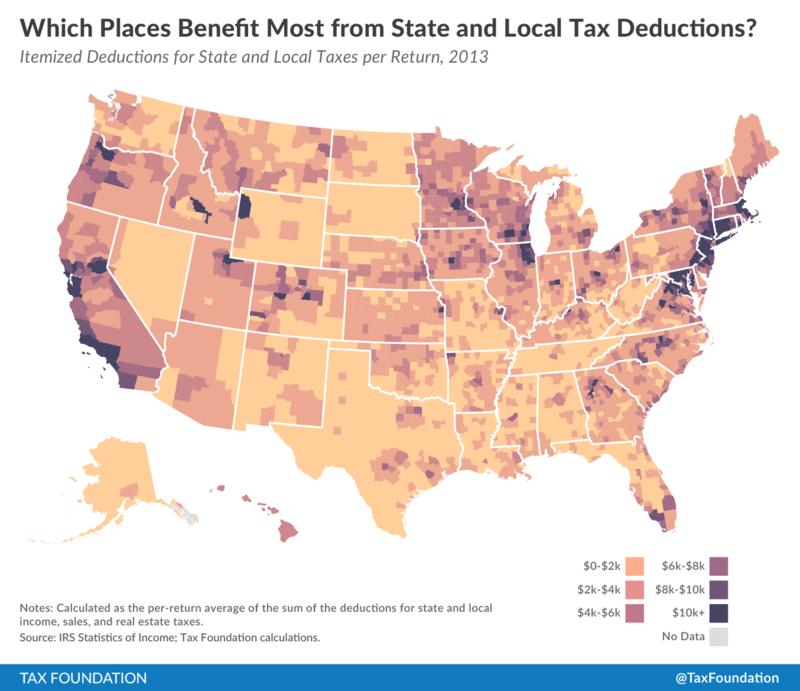 I particularly like the map showing zero-income tax states (gray), flat tax states (red), and states with so-called progressive tax schemes (blue). For what it’s worth, Illinois taxpayers should fight as hard as possible to preserve the state’s flat tax. If the politicians get the power to discriminate among income classes, it will just be a matter of time before all taxpayers are hit by higher rates. Now let’s shift to the spending side of the fiscal ledger. Like any good libertarian, I generally focus on the size of government. I compare France with Hong Kong and that tells me that big is bad and small is good. But regardless of whether a government is large or small, it’s desirable if it spends money efficiently and generates some benefit. 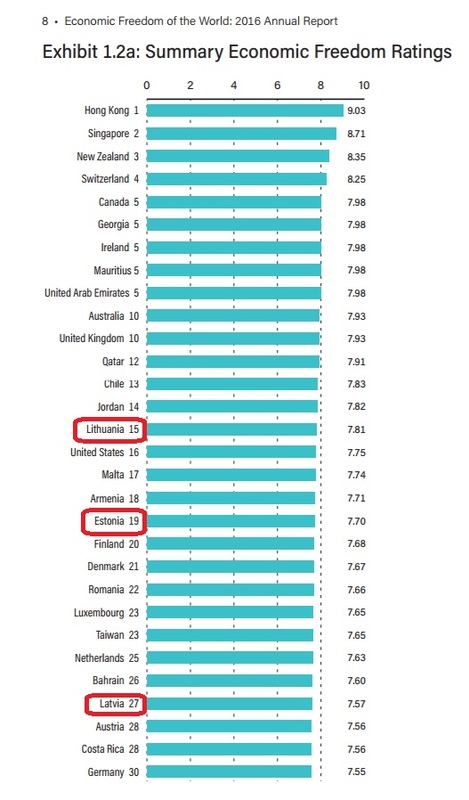 I shared, for instance, a fascinating study on “public sector efficiency” from the European Central Bank and was not surprised to see that nations with smaller public sectors got much more bang for the buck (with Singapore easily winning the prize for the most efficient government). 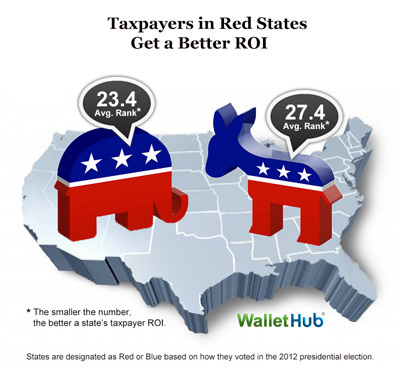 So I was very interested to see that WalletHub put together a report showing each state’s “return on investment” based on how effectively it uses tax monies to achieve desirable outcomes for education, health, safety, economy, and infrastructure, and pollution. I’m not completely comfortable with the methodology (is it a state government’s fault if the population is more obese and therefore less healthy, for instance, and what about adjusting for demographic factors such as age and race? ), but I nonetheless think the study is both useful and interesting. One thing that should stand out is that the best states are dominated by zero-income tax states and flat tax states. The worst states, by contrast, tend to have punitive tax systems (Alaska is a bit of an outlier because it collects – and squanders – a lot of revenue from oil). By the way, if you’re a Republican, you can probably give yourself a small pat on the back. The so-called red states do a bit better than the so-called blue states. P.S. WalletHub put together some fascinating data on which cities get a good return on investment (i.e., bang for the back) for spending on police and education.